Germany rejected Greece's 6-month bailout extension request, according to German Finance Ministry spokesman. The two sides have until Friday to agree on a deal, otherwise, Greece runs out of money. German Finance Ministry spokesman Martin Jaeger told Bloomberg News in an emailed statement that the terms proposed by Greece do not meet the earlier agreed conditions of providing financial aid. However, the European Commission sees the request as a good omen showing the Greek government’s willingness to reach a compromise on stabilizing the economic situation in the eurozone. “President Juncker sees this letter as a positive sign, which, in his assessment, could pave the way for a reasonable compromise in the interest of the financial stability in the euro area as a whole," Commission spokesman Margaritis Schinas told a news briefing. "The detailed assessment of the letter and the response is now up to the Eurogroup," he said, referring to the meeting of eurozone finance ministers in Brussels on Friday. Athens’ request for an extension to the so-called "Master Financial Assistance Facility Agreement" has been confirmed Thursday by the head of the Eurogroup Jeroen Dijsselbloem. Received Greek request for six months extension. The newly elected Greek government envisages extending the current agreement from the end of February to August. Thus, Greece will be able to buy its bonds from the ECB during this transitional period before signing a new agreement that Athens insists should be different from the existing one. Greece has maintained it shouldn’t follow the austerity policy, however key EU economy Germany insists it needs to stick to its obligations. 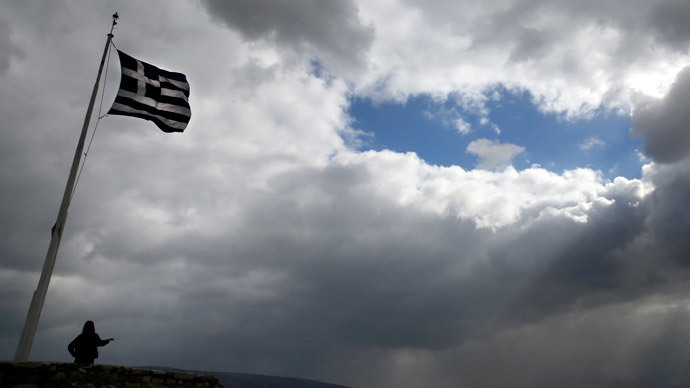 READ MORE: Grexit: Win for both EU and Greece? The request boosted optimism that Greece might reach a deal with its international creditors, but so far it remains unclear if the Athens plan is acceptable to the EU, as it has so far resisted any change to the current plan which is due to expire at the end of February. The Greek government is optimistic about reaching a compromise with the troika of creditors with Finance Minister Yanis Varoufakis saying that even the eurozone’s driving force Germany cannot make Greece give up its attempts. "We are on the right path, I am optimistic it will end well tomorrow or the next day," Varoufakis told reporters on Wednesday. "Our proposition will be written in such a way that it will cover both the demands of the Greek side and the head of the Eurogroup," he said.